Bride-to-be! We understand the importance for you to secure a good bridal shop so that you can have a peace of mind in your wedding journey towards happily ever after. 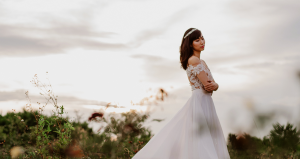 Specially curated below is our top choices for bridal shops in Singapore – 3 very different, top bridal shops for all brides to consider (1 – affordable, 2 – special & 3- international). Bliss Bridal Creations has built a reputation as an established wedding boutique over the years with their commitment to excellent quality, service and reliability. Since their beginning 16 years ago, their boutique has grown in prominence and has continually been striving to provide society with what it needs and wants, going beyond merely “doing business. ”Their affordable one-stop solution-based services provided are designed to ensure that couple’s needs are all well-taken care of, allowing them to enjoy a worry-free experience. These ranges from ROM services, pre-wedding photography and videography services locally and overseas, wedding bouquets and even wedding car rentals. With their team of experienced and professional staff who are more than happy to share expert advice, putting together the wedding of your dreams will be easy! Creating stunning bespoke gowns for strong, confident and stylish brides since 2008, Caramel & Co. steers clear of over-the-top, pageant-style ballgowns that try too hard to scream “princess”, their hopelessly romantic, relaxed and comfortable signature aesthetic attracts the self-possessed bride who wants to celebrate her unique style on her big day, be it classic, bohemian or quirky. As a client of Caramel & Co., you would enjoy warm personalised service and be in close consultation with their founder and designer Mel Chen throughout the process of creating your dream dress. *A fee of $50 has to be paid in advance for first-time appointments. A consultation session will only be confirmed after the fee has been received. **They do not provide rental services. Established in 1989, France Paris Bridal first opened its flagship store in Taipei, providing quality bridal and photography services for couples. With outlets in Singapore and Hong Kong, France Paris Bridal has a regional reputation for its dedication to clients and emphasis on quality.